Has Your Doctor Recommended Hospice Care? Do You Need to Get Your Final Affairs in Order? It’s not easy for me to write about hospice and end of life planning. Until the reality of a hospice recommendation comes up, it’s a topic people think will never affect them since the reality of (their) death is always a future event. I know this is a difficult time for you or a family member/loved one who has either elected to enter into hospice or is contemplating hospice in lieu of continued medical care. The reality is death is close at hand. For that I am truly sorry unless of course death is welcomed over the burdens of continued life and existence. Living long and dying slow is a subject I discuss often with my elderly clients with advanced age. You may find it surprising that someone (especially an elder law attorney) would address the topic of hospice in a dedicated website. The reality is however that I confront the death of clients weekly and I consider it to be a privilege to assist them during this anxious, emotionally painful and disruptive period in their personal and/or family life. That’s why I’ve tried to give you helpful and practical information about hospice, hospice planning and end of life decision making. With the insights gained working with thousands of clients many of whom have labored through the hospice journey, I’m confident I will be able to help you navigate through the many questions, challenges and decisions that now must be made. If your physician has recommended hospice for you or a family member, you likely have lots of questions. What is hospice? How does one enroll? How much does it cost? And perhaps how it differs from traditional medical care under Medicare or traditional health insurance plans. Patients and families who face a terminal illness may at first focus on the impending loss of life. However, hospice programs encourage them to make the most of living and enjoying what may be the patient’s last months. Staying in the home lets patients reunite with friends and family members. It gives everyone a chance to reminisce and laugh together, despite the sadness, anger and pain that often accompany death. Hospice lets patients live until they die — enjoying life to its fullest potential. Rather than a place to receive medical care, hospice is an approach to medical care for patients nearing the end of life. Its goal is to enhance the quality of life for patients with terminal illness. Hospice focuses on pain management and symptom relief, while addressing the patient’s emotional, social and spiritual needs—as well as those of family members. Hospice lets patients and families share the end-of-life experience with dignity and, in most cases, in the comfort of their own homes. “Palliative care” and “comfort care” are terms often used interchangeably to describe an interdisciplinary approach to caregiving that seeks to provide physical, psychosocial and spiritual comfort to a patient. Palliative care can be used in conjunction with curative treatment. In the past few years, some physicians and other caregivers have embraced the concept of palliative care and are using its techniques with their (non-hospice) patients, mainly those in hospitals and nursing homes. Palliative care in those settings can provide a helpful transition to hospice services. Hospice is a kind of palliative care specifically designed for the terminally ill – that is, when cure is no longer possible or when the side effects of curative treatment have become too burdensome for the patient. It is medical treatment and care that seeks to control symptoms and manage pain. When the physician’s estimation of the patient’s life expectancy is six months or less, hospice care often is the best option. Although some hospice care is administered in assisted living facilities, nursing homes, hospice centers, and inpatient settings, approximately 80 to 90 percent of hospice services occur in the patient’s own home. That’s partly because advances in technology have made it possible to provide many medical services and equipment in a home setting by hospice team members. Will I Receive Should I Elect Hospice? The purpose of hospice is to provide comfort to the terminally ill person. This includes relief from pain. To achieve maximum relief from pain, it is usually necessary to administer morphine, which is an approved medication (narcotic). Prescription and narcotic drugs have a proper and constructive role in pain management, and using drugs for this purpose is endorsed by the federal government. Sometimes, hospice staff can reduce a patient’s pain and increase comfort through “complementary therapies” such as Reiki, aromatherapy and massage. But you can also choose not to take narcotic drugs! It’s YOUR choice! Many terminally ill patients receiving medication(s) for pain relief gradually build up resistance to these medications and can tolerate much higher levels of medication without fear of addiction. As much as a hospice patient has a limited life expectancy, it is highly unlikely that addiction will develop, and so elevated amounts of drugs can be authorized. Remember, when hospice is elected, the patient is choosing comfort care over curative treatment. The side effects of many drugs (vomiting, nausea, etc.) are rarely seen as comfortable. There are instances, however, when a valid medical decision might include one or more chemotherapy treatments for relief of pain or symptom management. Discuss the situation with the hospice nurse as soon as possible. Understanding Those Hospice Services Available to You? Is there such a thing as ‘round the clock care from hospice? Hospice care is an intermittent care program, meaning that care is provided through visits by hospice team members. Hospice does not provide ongoing 24-hour care for the patient at home, nor does hospice provide caregivers for the eight to 10 hours a day when a family member is away at work. Hospice care provides support to the family – it does not replace the family. Hospice care is delivered through visits by nurses and counselors, by volunteers (if the family wishes), and by home health aides (if the hospice determines appropriate need). Having one or more family members take reduced hours at work. Chipping in on payments to one family member who takes a leave of absence from work to stay at home with the patient. Bringing in a relative or friend whose time is more flexible. Hiring a companion for the patient while family members are at work. Caring for a hospice patient at home is often difficult, sometimes exhausting, and always requires adjustment and extra effort by the family and/or spouse. Nonetheless, families see hospice care at home as the final gift they can offer their loved one, and many family members say they are glad they chose hospice, despite the extra effort. It’s about family: Get help taking care of a hospice patient? Hospice is all about helping families care for their loved ones. Hospice staffers provide direct care to the patient and education to family members about providing care. Hospice, however, does not provide care around the clock, nor does it provide shift care. If the family feels they must hire a companion for the patient for any portion of the day, they are free to do so privately. The hospice’s social worker can help the family identify resources that might help. What to do if family members aren’t able to handle a loved one at home? Caring for a patient at home can be stressful and tiring, but many families are glad they did so, to be close to their loved one near the end. There are valid reasons, however, why a family might not be able to handle caregiving at home, and these will be among the first issues to be addressed by the hospice team. Perhaps the only other person living with the patient is a weak or elderly spouse or parent. Perhaps the home or neighborhood is not a safe location for caregiving that involves narcotic pain relief. Perhaps work schedules of adult children cannot be reduced or juggled. Many families who don’t think they can manage a love one, in fact, can do so with simple and proper training from the hospice team. Family members will not be expected to become nurses, doctors or counselors. They will, however, need to provide more time and attention to their loved one. That must be understood from the beginning. Useful parallels can be drawn between caring for a newborn and caring for a hospice patient. The physical aspects of care giving are messy and tiring. Also, the entire household tends to focus on the newborn or the hospice patient. There are many changes in routine, and possibly some emotional stresses will come out. The major difference is between the joy of a newborn and the sadness of losing a loved one. One approach to think about is providing care to the hospice patient with the same love and patience as you would to a newborn. Your hospice caregivers are very experienced in these matters. Remember that the patient and family is the unit of hospice care. It is OK to “unload” your concerns on the hospice team and let them know you are tired and stressed out. They will have helpful ideas on how to cope. This is their profession and for many it is their passion. They are good and compassionate individuals. Medicare pays a great deal of the services provided by Hospice throughout the country. In order to be eligible, a patient must be covered under Medicare Part A and must also have certification from a physician that the patient’s life expectancy is six months or less, assuming the illness runs its normal course. There is a great deal of confusion about the six month standard. It does not mean that the patient will lose his or her Hospice benefits after six months. Instead, it simply means that in order to be eligible, there must be a six-month life expectancy. After the initial period of certification, however, the patient can have an unlimited number of additional sixty-day periods. So long as the individual continues to have a life expectancy of six months or less, Hospice can go on indefinitely. As a side note, I’ve noticed a recent trend under Medicare approving hospice when the prognosis is death beyond six(6) months. Why this is happening I’m not sure, so perhaps with some sincere advocacy you’ll be able to persuade your physician to approve a hospice referral. To enroll in Hospice, the patient must sign a statement electing the Hospice benefit. This is perhaps the most difficult step for many families to take, since this election shifts the course of treatment from curative (i.e. intending to help the patient get better) to palliative (i.e. treating the pain, but not trying to cure the illness). Many patients worry that by electing the palliative (pain reducing) course of treatment, they are locking themselves into something that cannot be changed. That is not correct. The election from Hospice to non-Hospice to Hospice care can be made as frequently as the patient desires. A great benefit of Hospice care is that the medication related to the terminal illness is covered with a maximum co-pay of five dollars per prescription. In this day and age of spiraling medication costs, this benefit alone can save families a tremendous amount of money. In addition, the new Medicare law added another valuable Hospice benefit. Under the law, patients can have a one-time educational consultation by a Hospice physician to the terminally ill patient, even when that patient is not yet in Hospice. The consultation can occur in a care facility or at home, and can also include a pain assessment, along with counseling on care options and advance planning. The question frequently arises… does Hospice pay for nursing home care? If the patient is a nursing home resident, there will be Hospice benefits available, much like if the resident were at home. The Medicare Hospice benefit will not cover the costs of room and board at the nursing facility or an assisted living facility. It will, however, continue to cover the types of services mentioned earlier. What if the person is not on Medicare Part A? Are there other ways to receive Hospice care? In addition to Medicare, there are many ways that Hospice care may be paid for. Often, private health insurance, Health Maintenance Organizations (HMOs) and managed care organizations cover the cost of Hospice care. In addition to Medicare, for military patients as well as those covered by CHAMPUS (the health benefits program for retired military personnel and dependents) will frequently cover the cost of Hospice. Additional funding for Hospice also comes from community contributions, memorial donations and foundation gifts. Many Hospice programs also use a sliding-fee scale, based on a patient’s ability to pay for services when insurance and other benefit programs are not available. First of all, I just wanted to thank you so much for the time, and most of all, for the knowledge, concern and support you so generously gave me during our meeting on May 26, 2010. I walked out of your office feeling much more confident and very relieved. I’m not sure how you will take this, but you are an extraordinary human being and the antithesis of the stereotypical lawyer. A usually skeptical person, I trusted you from the moment I shook your hand! In addition, every member of your staff with whom I came in contact with was courteous, respectful, and helpful. You and your partner have created a very special environment, and you should be commended. 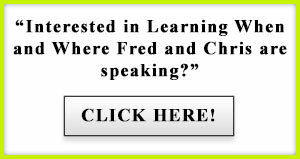 Fred is an amazing and dynamic person. I have attended a few of his work shops and CEU events over the years and his interactive discussions have been both educational and entertaining. He is one of the few lawyers out there that I do trust and does whatever he says he is going to (Accountability) who ever I have referred his way has always thanked me for connecting them and this is why I continue to work w/ Fred. Great person, excellent ethics, and very knowledgeable. I highly recommend him. My wife and I wanted to express our gratitude for the guidance and patience from you and your staff along this journey. Life is strange at times and the things that bring us together can be just as strange, if not more. I not only got to put a few bucks in the bank, but got to reconnect with my cousin Sarah, which was a great surprise for me. That alone was worth the journey for me. Getting to know her and the family has been really nice. I know it was a long day for all of us in mediation, but I really am blessed to have gotten to know you and talk with you. I admire your skills, work ethic and attitude regarding time and Patience. When the opposing attorney was running her big mouth and doing her thing, you never lost your composure, nor your position. I’m hoping it’s one of the nuggets I’m able to take and implement in my personal/professional life. The short version of this story is that you have a lot to offer people, you’re a true, trusted advisor. Your words and actions seem to align with your values, which is like common sense, very hard to come by now a days. Your staff does a great job as well. Please let them know that as often as you can. Keep up the good work Fred and thanks again. Do you have questions about hospice not addressed here? 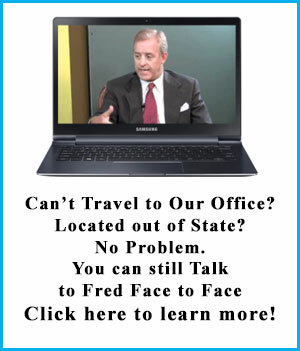 If so, contact Fredrick P. Niemann, Esq. toll-free at (855) 376-5291 or email him at fniemann@hnlawfirm.com to schedule a consultation about your particular needs. He welcomes your calls and inquiries and you’ll find him very approachable and easy to talk to. Rutgers State University is pleased to invite Mr. Fred Niemann of Hanlon Niemann to be the guest speaker at their workshops for the Office of Continuing Education. Hospice Means Get Your Legal Affairs in Order Now!! If a Spouse or Parent is on Hospice, Does It Make Sense to Do Asset Protection Planning for Long Term Care?